The heat is one and the heat ignited for baking (Oatmeal Raisin Cookies & Chinese Peanut Cookies). Not something I planned actually, but when you receive loads of mandarin oranges during Chinese New Year from your Chinese friends despite telling them enough is enough, yet they won't stop. Honestly, I am not sure if the giving is out of goodwill or as a clearing stock by dumping on us, or for them receiving bounds and bounds of prosperity. Beats me and we on the other hand, just can't refuse because this oranges giving is supposedly like we are receiving gold in return. Oh-god! Wish the oranges will churn into real gold, but dream on and if you continue to gobble down as many oranges, cold and cough will end up being your best friend. Thus, tell me when. What should we possibly do? Of course, we can't offend our Chinese friends by refusing, but potentially we can use some for the oranges for this Mandarin Orange Cake. Sounds logical, isn't it? Easy-preasy and without having to use the cake mixer (Traditional Butter Cake & Sujee Cake), all you got to do is mixing and gently incorporating all the ingredients. Eggles Mandarin Orange Cake? Sincerely a soft appreciated bliss in our mouth (Eggless Orange Cheesecake & Lemon Buttermilk Cake). Stir milk, oil, juice and zest. Sift flour, baking powder and soda over the milk mixture. Gently fold until thoroughly combined. Tip mixture into a greased baking pan. Cool down, dust icing sugar all over (optional) and cut into slices. i love orange cakes and this one looks absolutely amazing... i would love to gorge down the whole cake! i had made this one today, its sooo yummy!!! This cake looks so delicious and tempting.Loved the colour of the cake and nice photography.And its eggless too! its your new year resolution to bake now ? you are on baking spree. good work and each and every baking dish is amazing. This sounds lovely, great that it's egg free too! Cake looks perfect. I always love your presenation. The cake looks yummy & I remember My house too was filled with Mandarins during chinese new year. Thats a great idea that you used these in your baking. He hee Linsy...Nava is on a baking spree only sad thing is we don't get to try it ..
Mandarin cake looks so yummy ..love citrus flavored cakes. Your recipe looks so damn easy and I am so loving the idea of an orange cake. Love cakes with orange flavor, this one looks super delicious! It's such a brilliant idea! 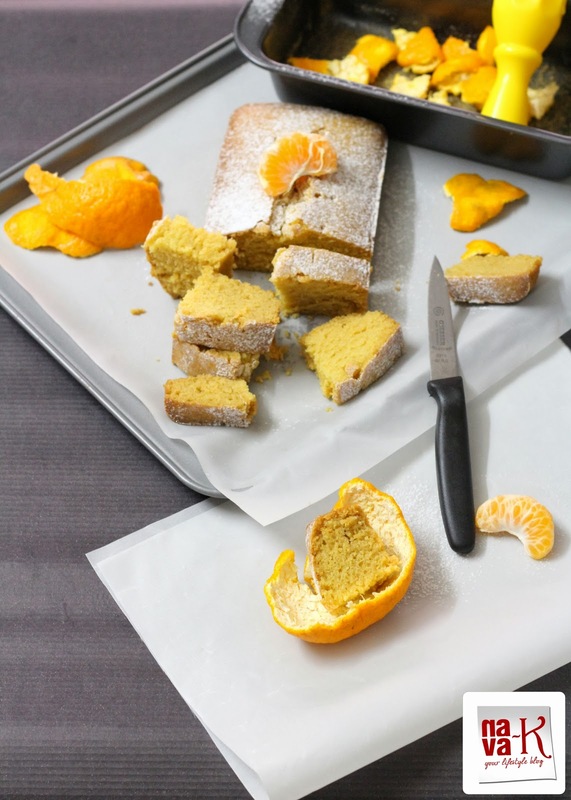 I never thought of using mandarin orange for baking a cake... Love this such a creative thoughts. Thumbs up to you! NAVA, what a great recipe with the Chinese New Year theme! Mandarin oranges are so sweet...I am sure your cake must have tasted fabulous. I am feeling like taking a bite of this cake right now! You know how much I like citrus in desserts. They just make everything taste better. Your's looks wonderful with a great texture. I have never tried an eggless version as I always wondered whether the same texture can be achieved like a egg version. But now I know it will work so bookmarking for my vegan friends. I simply love the citrusy flavour in cakes. These look so yummy. I'm looking forward to your marmalade and sorbet recipes. the color is really beautifull too! heallthy cake and loved the presentation, superb!!! great use for the oranges! I have too many left over!! Lovely!! 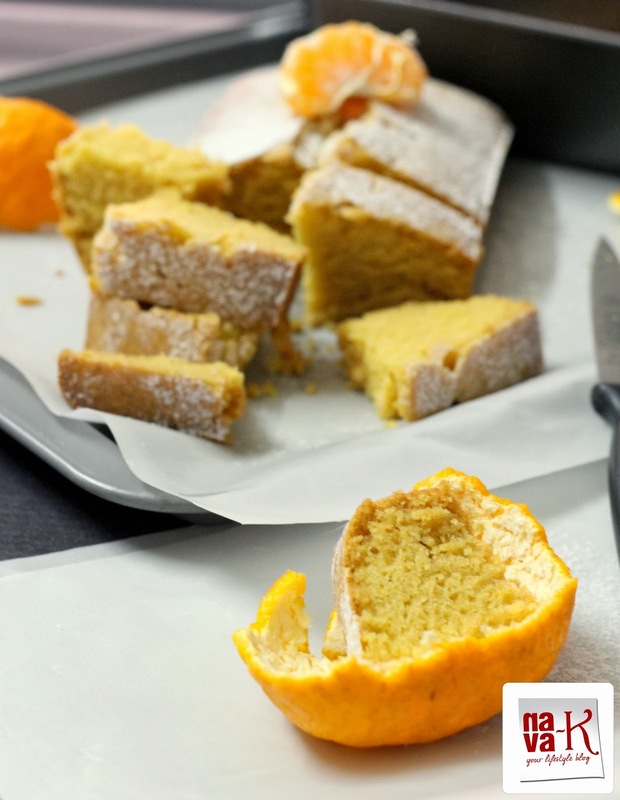 I recently tried orange chiffon cake but was too scared to add the zest to it.. After reading your recipe, i think i'll give zest a try..
Hi Nava, very interesting recipe. Your cake look so good and I'm sure the fragrant scent from the oranges must be very flavorful. Thanks for sharing the recipe. Nice and awesum orange cake! I love oranges Andy I Love this orange cake too!! It looks so moist and perfect!